"887 is a journey into the realm of memory. 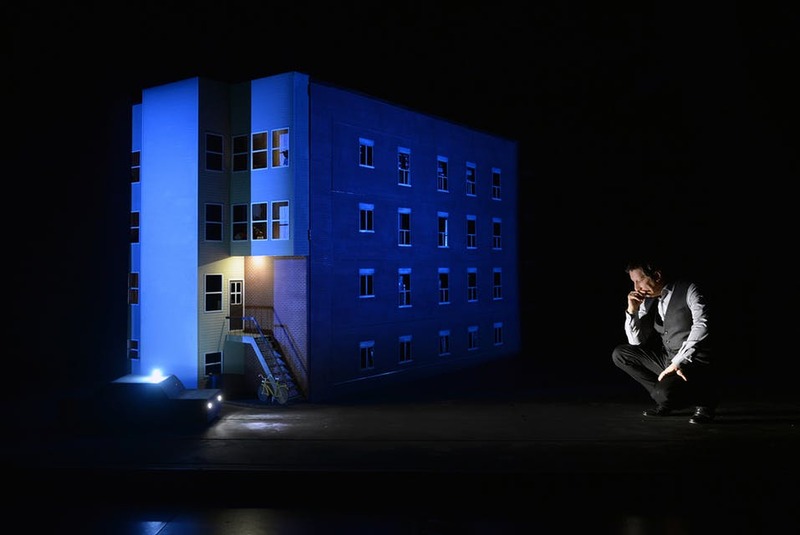 The idea for this project originated from the childhood memories of Robert Lepage; years later, he plunges into the depths of his memory and questions the relevance of certain recollections. Why do we remember the phone number from our youth yet forget our current one? How does a childhood song withstand the test of time, permanently ingrained in our minds, while the name of a loved one escapes us? Why does meaningless information stick with us, but other more useful information falls away? How does memory work? What are its underlying mechanisms? How does a personal memory resonate within the collective memory? 887 considers various commemorative markers—the names of parks, streets, stelae and monuments—and the historical heritage around us that we no longer notice. 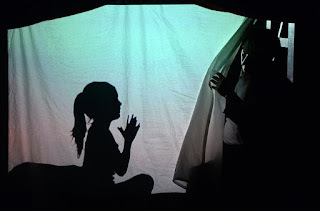 Consequently, the play also focuses on oblivion, the unconscious, and this memory that fades over time and whose limits are compensated for by digital storage, mountains of data and virtual memory. In this era, how is theatre, an art based on the act of remembering, still relevant today? All of these questions are distilled into a story where Lepage, somewhere between a theatre performance and a conference, reveals the suffering of an actor who—by definition, or to survive—must remember not only his text, but also his past, as well as the historical and social reality that has shaped his identity." Yes, yes, all well and good. But JEEBUS, the way the story is depicted is astonishing. Lepage starts on a bare stage, talking casually to the audience, then shows a few family photos. Then, he introduces us to his childhood apartment home, which is a large revolving set piece, that is alternately the front of the childhood home, his current modern kitchen, his father's taxicab, a diner, and yes, a library where the fronts of the books are removed to reveal small dollhouse rooms. A combination of film and dolls, live video (captured by Lepage's phone), and unbelievable theatrical art and magic creates a unique and wildly compelling production. SO freaking glad I saw it. The Walker's website has a teaser video of the performance. You should watch it. It's AMAZING.